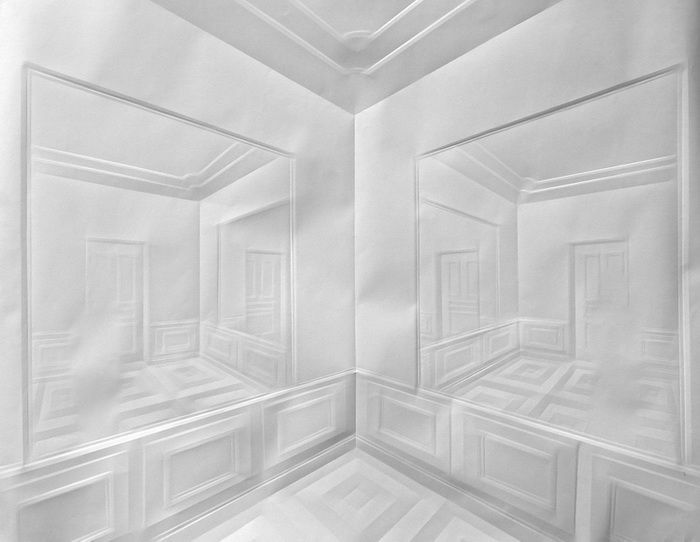 Schubert is a German artist who creates surreal installations, sculptures and paper art. Apnoesie below is a bit eery, a human-like figure covered in bird feathers. Spiegelungen at far bottom is a perspective view created by creasing paper. While his paper art process is a secret, it seems you can do the same by "drawing" with a boning knife.